9. This is what it looks like when you have the clutch cover off. 10. Remove four bolts holding the lifter plate and lifter piece. Straighten the lock washer tab. I fooled around for a while trying to come up with materials to build a nice elegant holding tool like Hondaâ€™s, but finally just made due without. I put a 1 Â¼ inch socket on a breaker bar, attached it to the lock nut, had my wife hold the rear brake, and I smacked the breaker bar with a two foot long two by four. The nut came loose the first time. 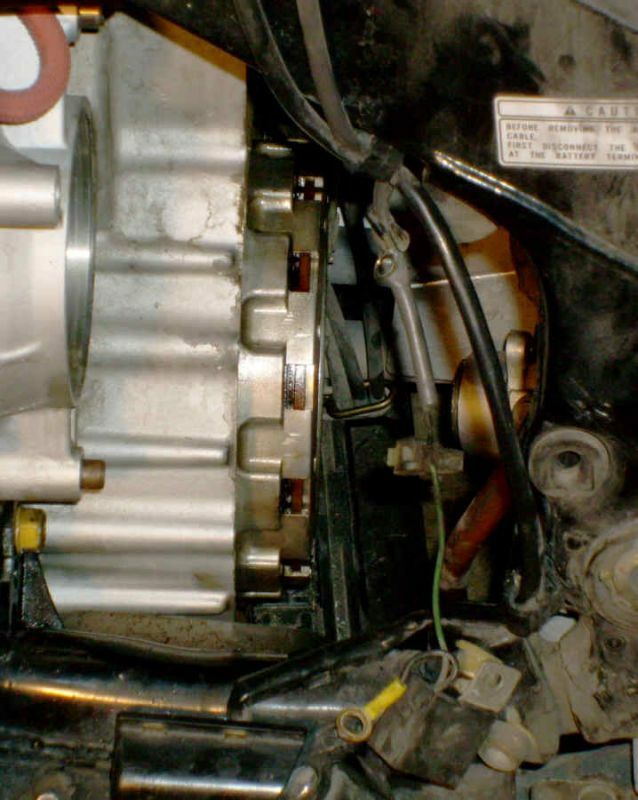 Then it is just a matter of unscrewing the nut the rest of the way, removing the locking tab, and sliding the clutch assembly off of the shaft. 12. The clutch pack has to be disassembled by pressing on the clutch spring enough to make it possible to remove the snap ring. The kits from saber cycles only have 7 disks. They specify that their disks are replacements for 22202-MT8-000 and 22201-MT8-000. So, I complained via email and they immediately sent two more disks, but they were exactly the same as the other 6 that replace 22201-MT8-000. As I looked the disks over, there was only one that was a different size (22202-MT8-000). PN's 22201 and 22203 were only different with regards to the face pattern. The other after-market disks did not match the honda disk face patterns at all. So, I elected to install the disks anyway and take my chances. This gave me all new aftermarket disks. 13. After soaking the disks in 4 stroke MC oil I installed them in the clutch pack and installed the clutch pack back into the bike. Note: This is a real pain in the a... because all of the disks have to be perfectly aligned. The manual says to put the whole thing together without the clutch spring, slide it into the basket, slide it back out and install the spring without moving the disks. Ya right!! The way I did it was like they said, but there is no way to get it perfect. So, after getting the clutch pack started in the clutch basket far enough to encounter the first disk that is out of alignment. Then, using a strip of wood and a mallet against the disk teeth, I bumped the teeth just enough to line them up. I was able to get to all of the teeth by rotating the rear tire to turn the clutch basket (bike in gear of course). 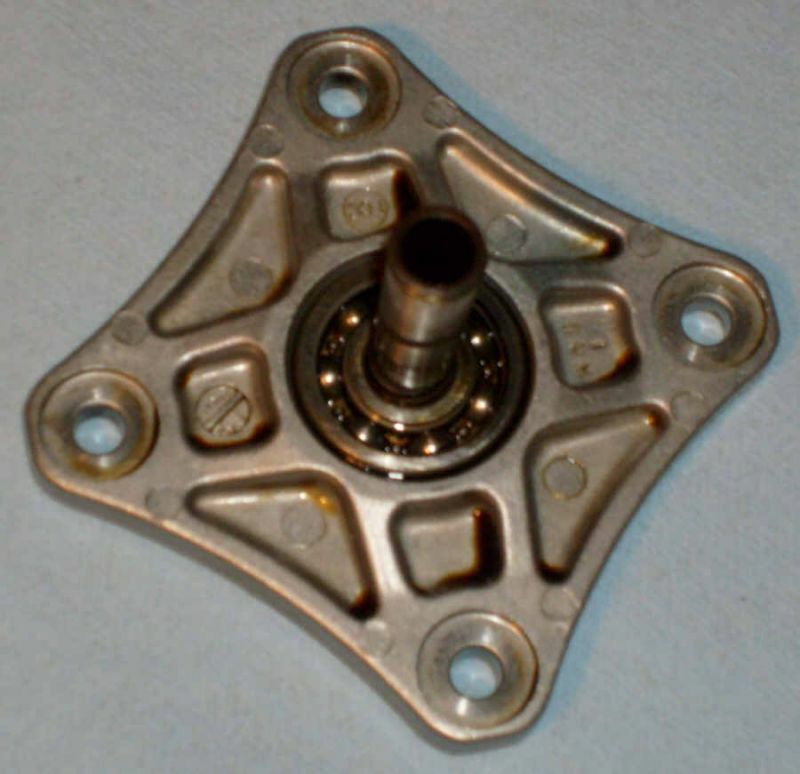 Place the center nut on the shaft and use it to slowly and carefully pull the clutch pack into the basket as each disk is aligned. If you make a mistake here you take a chance on breaking something expensive. 14. From here on just assemble in reverse order. Sorry I didn't take pictures of the clutch pack when it was out. Just got in a hurry and forgot. One added note. The test ride went well. So, for now I trust the after-market friction disks. They seem to have done the job very well. Thanks for the info on the clutch project. I am going to change mine out soon. It shudders and slips on heavy throttle usage. I am at 200000 miles since I replaced them. Mana all the way !!!!!! Nice write up and excellent pictures. Shame you didn't get pics of the clutch pack, But it's really hard to do the job and document each step. I know I've tried. Thanks for the sweet post, This will be saved by lots of us. I have owned over 50 bikes now, This is the longest I have owned only one bike. Prior USMC Sgt. and Vietnam Vet - Platoon Sgt. and D.I. PGR Member since 2006 - Serving Those Who Served For Us. The Native Americans found out what happens when you don't control immigration.